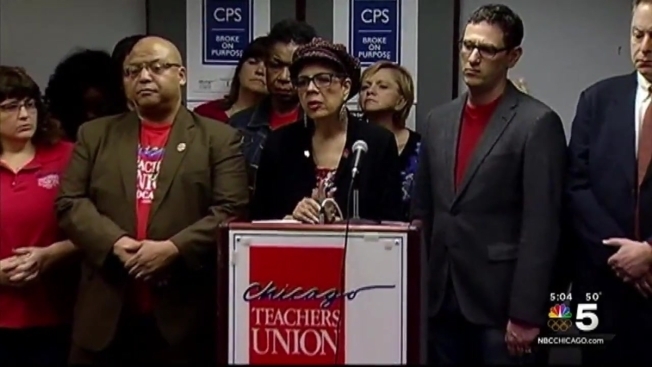 The Chicago Teachers Union will meet Wednesday to discuss a possible strike date. According to state law, the earliest the teachers could go on strike is May 16, but as reported earlier this week, there's talk that the union will not go on strike to finish the remainder of the school year. CTU Vice President Jesse Sharkey confirmed to NBC 5 Monday that a strike is unlikely to happen this month, but he's not ruling out the possibility of a strike in September. Walking off the job in May would result in the loss of their salary and health insurance heading into the summer months. Teachers were also concerned about losing the support of parents who would be forced to find last-minute child care during a disruption before summer break. A more likely strike date would be in September, after teachers get their first paychecks of the new school year, Sharkey said. Summer months would give both CTU and Chicago Public Schools additional time to come to terms on a new contract. It also gives state legislators time to consider additional school funding proposals. The union said in a statement released Monday, however, that members have yet to make an official decision. The union bargaining committee aims to decide on a date in a meeting planned Wednesday.